Blue Sapphire is an extremely powerful stone. If it proves conducive for a person, it can bless one with immense good luck, wealth and prosperity, and grant unexpected riches & sudden financial gains. 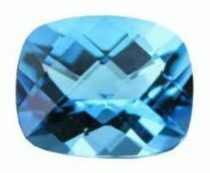 Blue Sapphire also protects the wearer from misfortunes, accidents, unexpected & natural calamities, and guards one from unforeseen risks & dangers. This Gemstone guards one from all evil, purifies the mind and increase the flow of positive energy and thought. 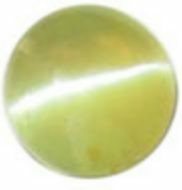 It is especially recommended for protection from evil influences of Saturn. Blue Sapphire Stone should be worn a minimum of 3-5 carat embedded in Gold/Silver Ring/Pendant in the middle finger of the right hand(or as advised by a professional Astrologer) in elected auspicious time only, according to the geographical location of the native. Blue Sapphire stone is suitable for Capricorn, Aries, Taurus, Gemini, Leo, Libra, Scorpio, Sagittarius and Aquarius ascendants (others should seek a professional advice). Blue Sapphire stone can be beneficial in learning/studies, gains in heavy industries, marital problems, longevity and can provide relief from ups and downs in a professional career, losses through servants, labour problems, status in life etc. In addition to this, the person might find relief from diseases related to joints, glandular problems, flatulence etc. Blue Sapphire heals, nourishes, and brings order to the mind. The blue ray carried by the stone disintegrates disharmony in the physical head and profoundly benefits all functions centred there. It helps to expand mental potential and enhances the ability to distinguish between one’s mind and one’s higher self. Blue sapphire is the most talked about gem. It gives status and influence in the society. 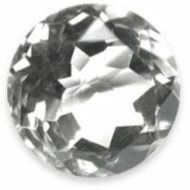 Most of the famous people wear this gem to achieve great benefits in life. It gives rare ideas and skills and enhances the innovative power of the mind, said to fight depression and gives serenity to the mind. A must for people in the creative field and those who desire fame.